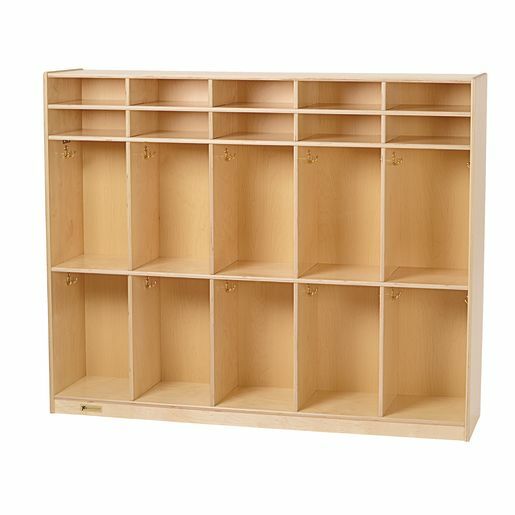 Store personal belongings in these preschool lockers with letter trays. 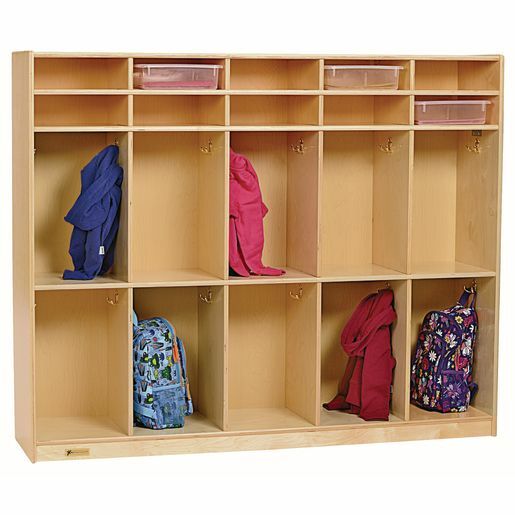 Double hanging hooks provide enough storage space for up to 20 students. High-quality design with rugged durability. Constructed of 11-ply 5/8" birch. Hinged toe kick provides access to twin casters. Ships assembled. Clear letter trays sold separately (#MPC15120). 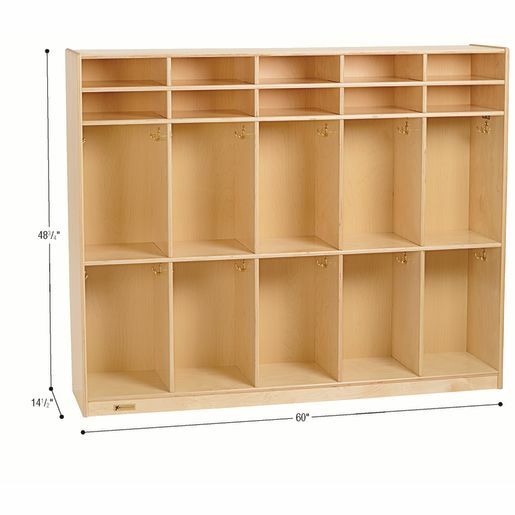 48-3/4"H x 60"W x 14-1/2"D. Ships within 3 days.